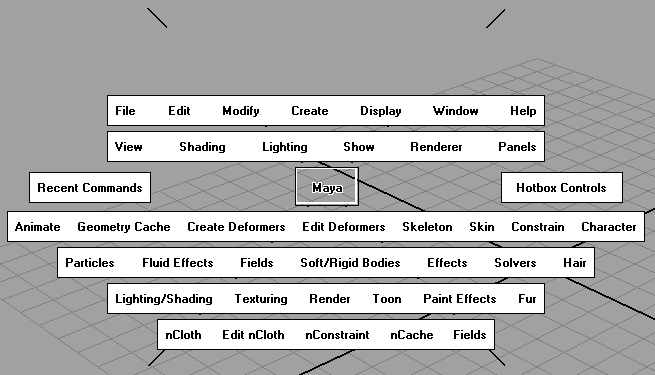 While considering various toolbar setups I remembered Maya's hotbox feature. While you hold down the space bar a menu (hotbox) appears in the graphics view. You can customize what appears in this hotbox. The value is that you can have the graphics view be full screen (no menus or toolbars).